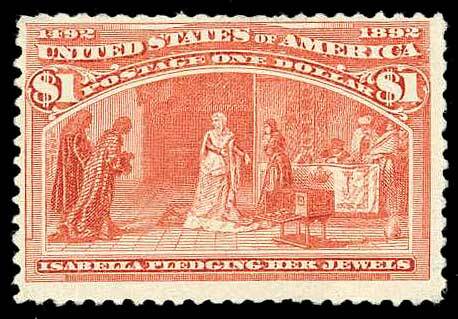 United States, 1893, $1 Salmon, #241, regummed, small thin at top, Fine. 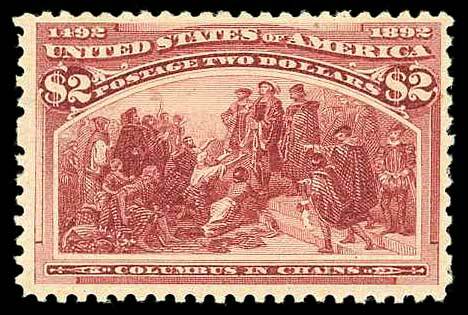 United States, 1893, $2 Brown Red, #242, l.h., nice color, one unpunched perf at left, Fine to Very Fine. 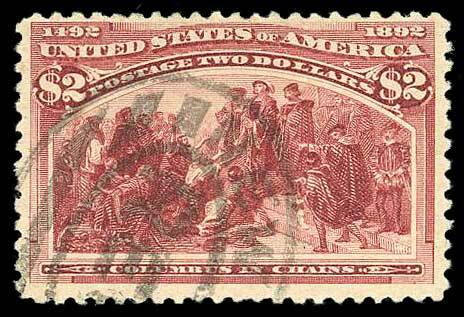 United States, 1893, $2 Brown Red, #242, disturbed o.g., small faults, centered Very Fine. 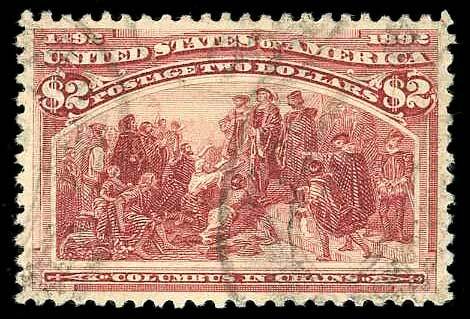 United States, 1893, $2 Brown Red, #242, oval registered cancel, Fine to Very Fine. 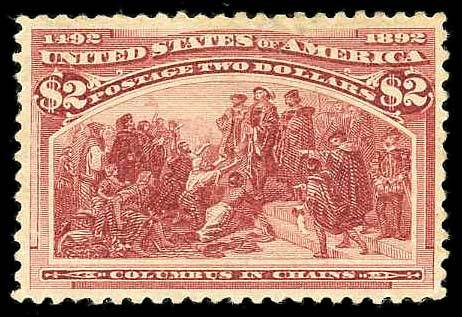 United States, 1893, $2 Brown Red, #242, used, well centered, Very Fine, with 1991 P.F. certificate. 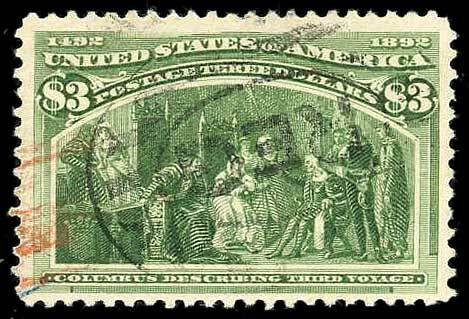 United States, 1893, $3 Olive Green, #243a, black and red cds, Fine to Very Fine, with 1997 P.F. certificate. 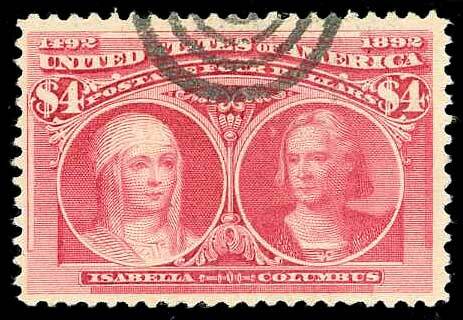 United States, 1893, $4 Crimson Lake, #244, target cancel, fresh, Fine or better, with 1991 P.F. certificate. 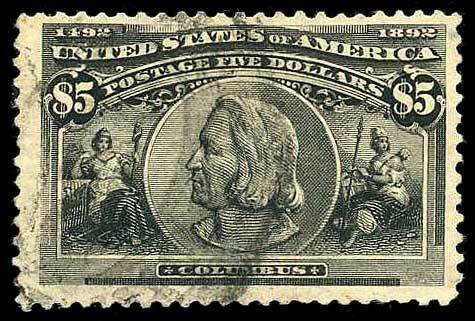 United States, 1893, $5 Black, #245, o.g., light crease lower right corner, Fine. 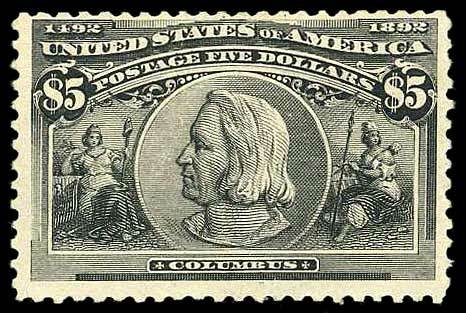 United States, 1893, $5 Black, #245, used, large copy, Fine to Very Fine, with 1986 P.F. certificate.